Interestingly, Comey’s dismissal is only the second time the head of the FBI has been fired. The last time it occurred was during Bill Clinton’s presidency when the president dismissed William S. Sessions. 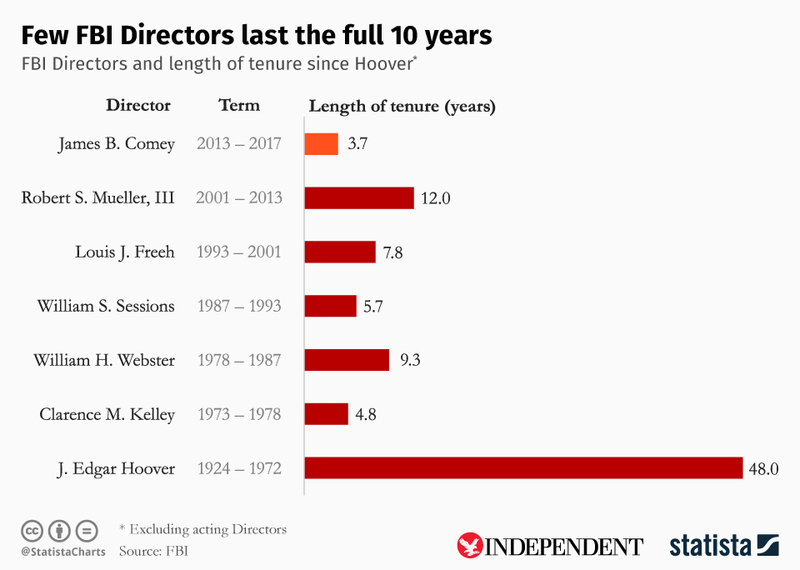 Generally, as can be seen from the following infographic featured in the Independent, the position of FBI chief doesn’t involve a high level of job security.